SIPHER is a Progressive band hailing from Bergen, Norway who are new to the scene. Their sound contains elements of Metal, Prog Rock, Classic Rock, and Melodic/AOR. A lot of different musicians contributed their skills to the tracks but the main person is lead vocalist Eirik Softeland. The songs have a lot to them and, as expected in Prog, are constantly changing styles, moods, and tempos but the centerpiece is the strong performance of Eirik, who has a definite knack for writing strong vocal arrangements and making the many elements of Progressive music fit together smooth and effortlessly to the listener. The first track (and single) on the album is the title track “Atlas,” and it immediately has an atmospheric vibe due to the synths and his clean vocal approach; Eirik has one hell of a set of lungs and it is a constant enjoyment to hear. The first guitar riffs really hit the spot, giving the song just enough of an edge for his soaring vocals to ride upon. As the song builds, layers are added to the music, especially with keys but the bass and rhythm guitars are the highlight. “Weight Of It All,” has a very immediate affect on the senses with the groovy guitars that present an upbeat mood that leads into a catchy chorus. Indeed, this song represents what makes SIPHER so good: Progressive music that gets out of its own way by using modern sensibilities to paint a picture that never comes off as bloated or pretentious. The wonderful vocal melodies/arrangements come into play majorly in “Supernova,” complimented by the soft but effective lead guitar and drumming. As the title would suggest, the song does explode a couple of different times with short bursts of riffs and more vocal melodies that wouldn’t sound out of place on a QUEEN album. Indeed, the track itself is very theatrical in presentation and I found it to be one of the best ones on the album. The final track, “Overload,” is a decent way to finish the album because it is one the more guitar heavy songs and the clever use of organ is a nice addition, like some of the better URIAH HEEP albums. The bass and lead guitar shine in the middle of the song and the organ mixing in really creates a nice sweeping section that really adds a new dimension to the song. 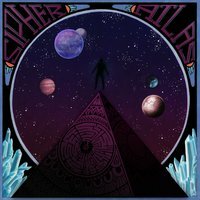 For such a new band, SIPHER left me with a wonderful early impression and eager anticipation for whatever they do next.